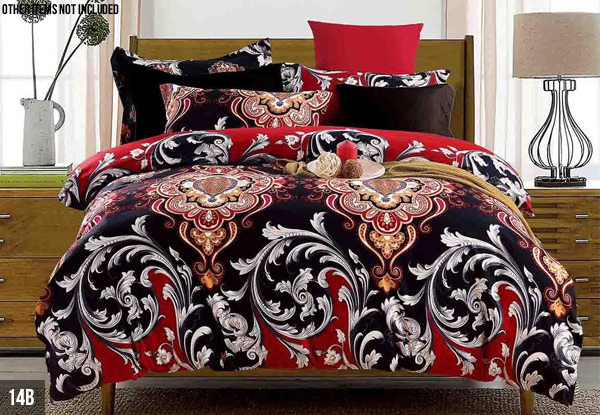 Grab a floral hotel quality duvet set from LIVEINSTYLE. 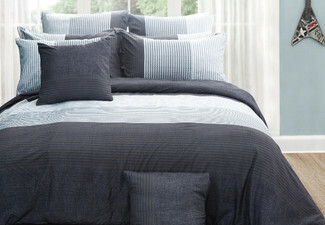 Pillowcases in actual sets may not have exact pattern displayed in the picture. Please note: the images displayed have the most accurate colour possible, however, we cannot be responsible for variations in colour between the actual product and your screen. Pay $7 extra for urban delivery for any number of purchases of the same option, up to the purchase limit, or $12 extra for rural delivery for any number of purchases of the same option, up to the purchase limit. Enter address when purchasing. No PO Boxes or rural delivery (Waiheke Island is rural delivery). Pick-up option available from 177 Te Puna Station Road, RD6 Tauranga. Phone (07) 552 6383 to arrange collection. Must be collected within two weeks of purchase. Please print out your order confirmation email to provide proof of purchase when collecting.No refunds unless required by law, no cashback, not to be used with any other offers.